In a monumental day for markets, the Dow soared a historic 1,050 points Wednesday to bounce back from its Christmas Eve plunge. The S&P 500 also set a record, jumping 5.05%, its highest Dec. 26 leap ever. Yet despite the positive performance, the indexes both remain below their starting point for the year, with the Dow down 7.45% and the S&P off 7.79%. That means many stocks have struggled this year. According to GuruFocus All-in-One screener, 272 issues of the S&P 500 have posted price declined for 2018, and 142 are in bear market territory (down 20% or more). Warning! GuruFocus has detected 1 Warning Sign with ACN. Click here to check it out. The stocks in Berkshire Hathaway (BRK-A)(BRK-B) CEO Warren Buffett (Trades, Portfolio)'s portfolio have not been immune from the economic pressures. Twenty-three of his 46 common stock positions have fallen to within 5% of their 52-week lows this week - far more than usual. Those heeding Buffett's advice to "be greedy when others are fearful" may consider for their own portfolios his five stocks closest to their one-year low prices: Restaurant Brands International Inc. (QSR), The Kraft Heinz Co. (KHC), Delta Air Lines Inc. (DAL), Liberty SiriusXM Group (LSXMA) and Southwest Airlines Co. (LUV). Buffett's Restaurant Brands International closed at $52.33 per share Wednesday, within 1.13% of its 52-week low. The stock has lost 15% year to date. Buffett owns 8,438,225 shares of the company, which he purchased in the fourth quarter of 2014. Restaurant Brands International Inc. has a market cap of $13.21 billion with a price-earnings ratio of 16.36 and price-sales ratio of 4.99. The trailing 12-month dividend yield of Restaurant Brands International Inc. stocks is 3.43%. The forward dividend yield of Restaurant Brands International Inc. stocks is 3.56%. Restaurant Brands International Inc. had an annual average earnings growth of 24.5% over the past five years. Shares of Kraft Heinz Co. traded closed at $42.33 Wednesday, within 1.49% of their 52-week low. Their price has declined 44% year to date. Buffett owns 325,634,818 shares of the company, most of which he bought in the third quarter of 2015. The Kraft Heinz Co. has a market cap of $52.79 billion; its shares were with a price-earnings ratio of 5.12 and price-sales ratio of 2.02. The trailing 12-month dividend yield of The Kraft Heinz Co. stocks is 5.77%. The forward dividend yield of The Kraft Heinz Co. stocks is 5.88%. Delta Air Lines closed at $48.66 per share Wednesday, within 1.59% of its 52-week low. The price has fallen 10% year to date. Buffett holds 65,535,000 shares of the company, purchased from the third quarter of 2016 until the most recent quarter. 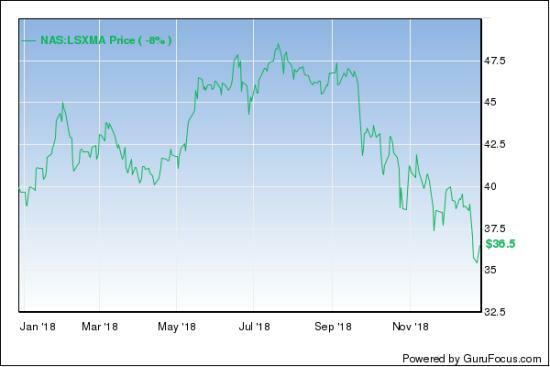 Delta Air Lines Inc. has a market cap of $34.56 billion; its shares were tradewith a price-earnd ings ratio of 9.89 and price-sales ratio of 0.81. The trailing 12-month dividend yield of Delta Air Lines Inc. stocks is 2.58%. The forward dividend yield of Delta Air Lines Inc stocks is 2.92%. Delta Air Lines Inc. had an annual average earnings growth of 26.30% over the past five years. Liberty SiriusXM Group's closing price of $35.65 Wednesday came within 1.62% of the stock's 52-week low. Year to date, the shares are down 8%. Buffett owns 14,860,360 shares, purchased from the second quarter of 2016 to the second quarter of 2017. Liberty Siriusxm Group has a market cap of $11.94 billion; its shares were traded with a price-earnings ratio of 9.91 and price-sales ratio of 2.17. Southwest Airlines' closing price of $45.13 Wednesday came within 1.84% of its 52-week low. Year to date, the stock is off 29%. Buffett owns 56,047,399 Southwest Airlines shares, purchased from the fourth quarter of 2016 to the second quarter of 2018. He reduced the position by 500,000 shares in the third quarter. 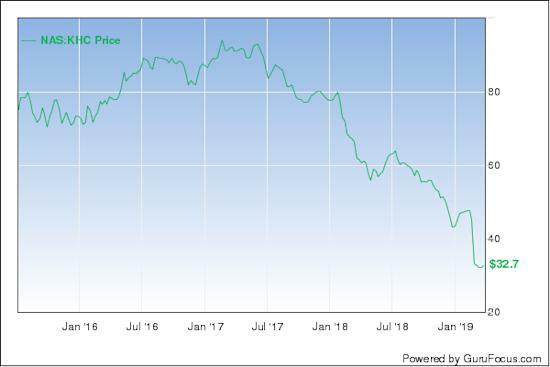 Southwest Airlines Co. has a market cap of $26.27 billion; its shares were traded with a price-earnings ratio of 7.47 and price-sales ratio of 1.25. The trailing 12-month dividend yield of Southwest Airlines Co. stocks is 1.31%. 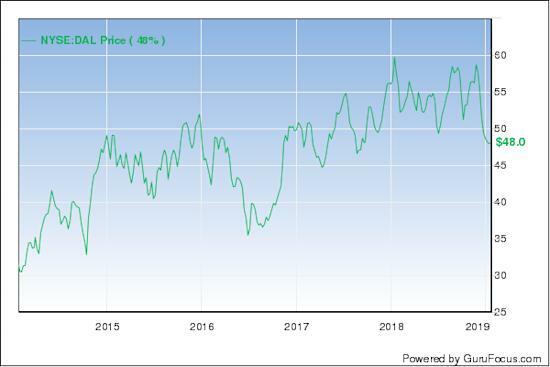 The forward dividend yield of Southwest Airlines Co stocks is 1.44%. Southwest Airlines Co. had an annual average earnings growth of 20.10% over the past 10 years. GuruFocus rated Southwest Airlines Co. the business predictability rank of 2.5-star. See Warren Buffett (Trades, Portfolio)'s portfolio here.